Lloyd’s has been on a modernisation journey since as long ago as the mid- to late-1990’s. Back then, the market was aware of the need to become more efficient, saw alternative capital and insurance-linked securities begin their inexorable journey into reinsurance, and was even offered a chance to leverage technology to facilitate electronic placement and trading of risks. In fact, prior even to the launch of Artemis, I was involved in attempts to get Lloyd’s to look seriously at an exchange platform that we at the time had created for the weather derivatives industry in the 90’s. It would have been relatively simple to repurpose as a risk exchange for reinsurance, but like so many potential advancements Lloyd’s could have embraced all those years ago, this was seen as a step too far for the status-quo in the market at the time. More than twenty years on and things look set for change (finally). There is now a tangible sense of urgency and this is promising as it suggests real change may come. But of course there is a significant journey for the Lloyd’s market to travel, before it finds a new business structure/model that promises sustainability and a profitable future for the market and those involved in it. The reason for this is that underwriting many lines of business at Lloyd’s became unprofitable in recent years, leading to the so-called decile ten initiative to boost performance, which appears to already be having some effect. But Lloyd’s new leader John Neal (CEO) is clearly pushing for more than just a slightly better underwriting result, recognising that without significant, transformative changes the marketplace will always be on the back foot and trying to keep pace with a global insurance, reinsurance and risk transfer sector that keeps on adding new layers of efficiency. Peel Hunt’s analyst team who identify Lloyd’s major issue as the structurally unprofitable underwriting that has been a feature of the market of late. A “healthy market” is what is important for underwriters prospects, the analysts rightly note, which also goes for the investors backing traditional Lloyd’s syndicates and any new, more direct investors that come into the market via alternative capital initiatives that may gain traction. For it is improved underwriting returns that are required, over the longer-term and across cycles, and the Lloyd’s prospectus promises business being introduced to the market more efficiently, from more profitable sources, transacted more cost-effectively and with lower-cost capital set to be made more readily available as well. The analysts note that Lloyd’s really has two options. 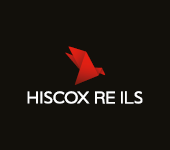 Making underwriting more profitable, and lowering the costs of doing business there. Both of these levers need attention, being intrinsically connected, we would suggest, as one alone will not position Lloyd’s for the future when the rest of the risk market outside of its square footage is evolving so quickly. Recent performance actions have been a good starting point, the Peel Hunt analysts explain, but they suggest more structural reform as the only way to really position Lloyd’s for the future. In some cases the analysts suggest that Lloyd’s participants are being valued based on the past performance of the market, not on its current or future prospects if it doesn’t reform itself significantly. We’re aware of companies placing increasing emphasis on business outside of Lloyd’s walls, as their investments outside have been generating better shareholder returns in recent years (despite market softness). Which all suggests significant change is required and this appears to be on the agenda currently. Lloyd’s promises a number of significant changes, although currently details remain scarce, meaning that the eventual reforms may not deliver as significant a change as first glance might suggest. But the direction is positive, with items such as a risk exchange for standardised business to be transacted more efficiently, a capital platform to allow investors such as pension funds to access Lloyd’s market returns more directly, trading indices for Lloyd’s specialty lines, reduced cost of doing business & lower broker acquisition costs, more developed market business, and claims technology to automate the process, all hinting at reforms with significant ramifications. However all of these items have been cited as opportunities for Lloyd’s so many times before, that at this critical juncture the proof really is going to be in the delivery of them all. When it comes to Lloyd’s initiatives for market reform, now is the time that bold action must be taken. The sense of urgency comes from a position of strength, the analysts explain, as Lloyd’s remains a dominant component of the global risk and reinsurance landscape. But failure to deliver on reforms this time could be fatal, we would suggest, as without steps to ensure it is at least able to keep pace, it is hard to see how Lloyd’s survives in its current form through the next couple of decades. By that time, the way risk is transacted, transferred and traded will have changed immeasurably from how it is done today. Lloyd’s really needs to be at the forefront of this change, not lagging behind as it has sometimes been seen to do over the last twenty years. The analysts suggest that the Lloyd’s market needs to target a combined ratio in the region of 94% to 95%, over the cycle, in order to be profitable. With it currently hovering around 102% that’s a whole lot of (process, capital, tech & risk transfer) efficiency that’s required. 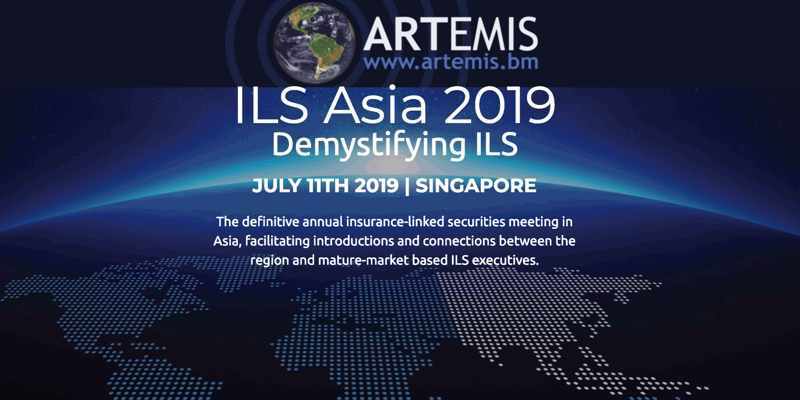 To allow market participants to put their significant risk expertise to most profitable use, with the best chance of making their business in the world’s oldest insurance and reinsurance hub more sustainable and attractive. 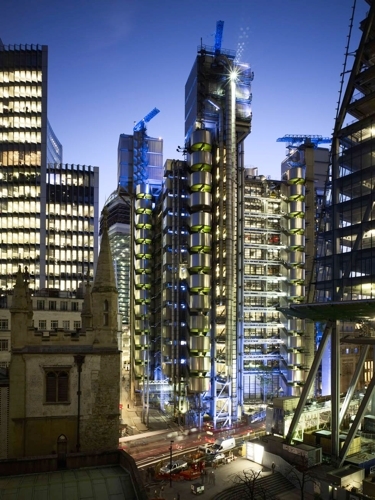 Lloyd’s can “nurture” alternative capital: CFO John Parry.